Fast Pitch is an annual series of events that allows the community to experience the CTCF mission - to bridge donors to nonprofits with effective solutions to meet real community needs in Williamson County. Arts & Culture nonprofits submitted written applications and these were reviewed/scored by the CTCF Grants Committee. Applicants from Round 1 were scored and the top 5 groups advanced to Round 2. Each Finalist worked with a videographer of their choosing to develop a 90-second video, and CTCF hosted an online voting campaign September 27 to October 3 to determine the awardee of the Film Short Award (see list of Awards below). The purpose of the 90-second video/film short was to articulate the mission of the nonprofit and highlight the impact of their programs on the community. An estimated 40,000 individuals participate annually in the programs, performances, classes, lectures and events that are hosted by the 5 nonprofits that were FINALISTS at the 2017 Fast Pitch. And it is astounding that among these groups, the total staff for ALL 5 is only 6 part-time employees and 4 full-time employees! These nonprofit leaders guide an army of talented and passionate volunteers that are devoted to serving our community. It was an honor for CTCF to host and award grants to help strengthen the impact of Arts & Culture in WilCo, and the Arts Showcase was a breath of fresh air in the midst of busy fall schedules! Band of the Hills began the Arts Showcase with toe-tapping excerpts from Chicago, The Musical, and The Williamson Museum educated the audience through a traveling trunk show complete with characters dressed as a golden-cheeked warbler, a WWII WAC (Women's Army Corps), a cowgirl and a pioneer woman. A high school CHAMPS quartet performed on behalf of the Georgetown Festival of the Arts. Georgetown Art Works highlighted their many free exhibits and classes while displaying artwork from local artists, and the Georgetown Symphony Society reminded the audience that music is a "universal language" that "can last forever" and entertained the audience with a string quartet from Georgetown High School. 1. Educate individuals. 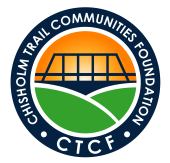 Allow members of the community to learn about area nonprofits and the specific projects or programs that are in place—all at an exciting, pressure-free (because CTCF provides the awards) event! 2. Raise awareness of local nonprofits. Area nonprofits are exposed to potential, new volunteers/donors/supporters. 3. Provide resources to the community. Support the community with grant awards. By filling in the fields below we will be able to update you periodically with announcements, events and grant information.